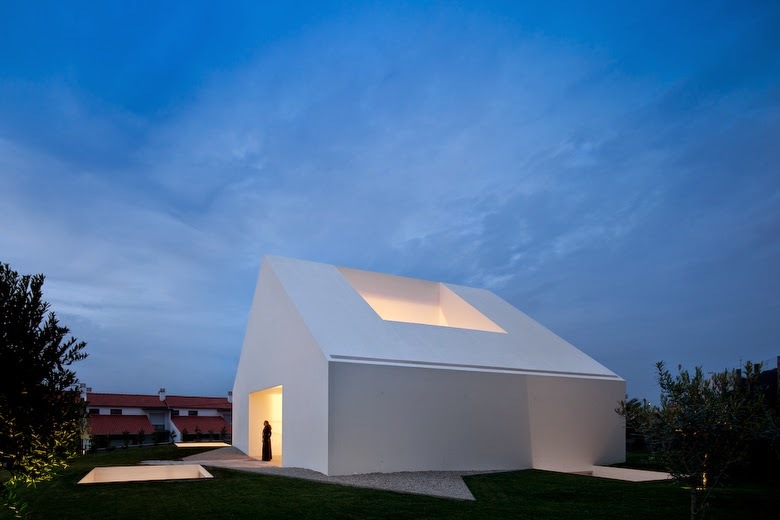 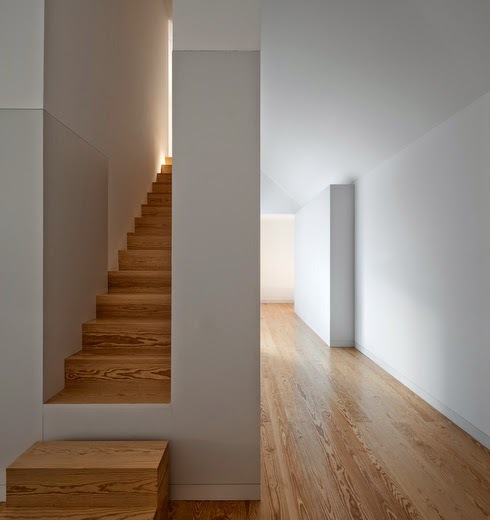 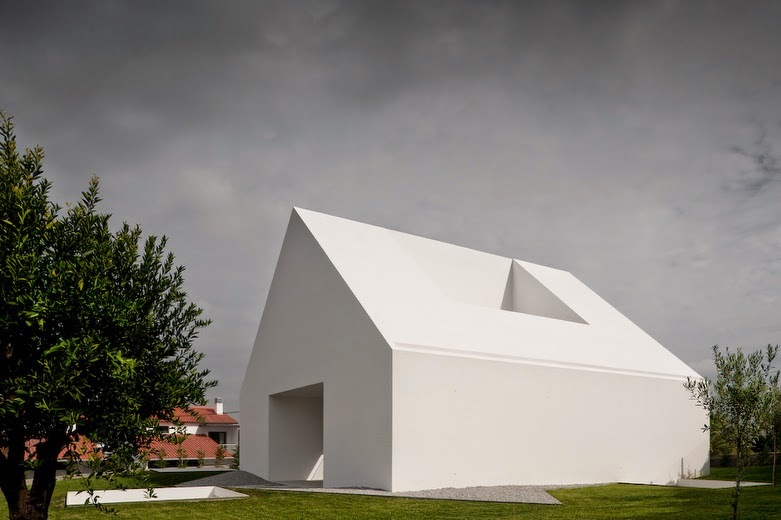 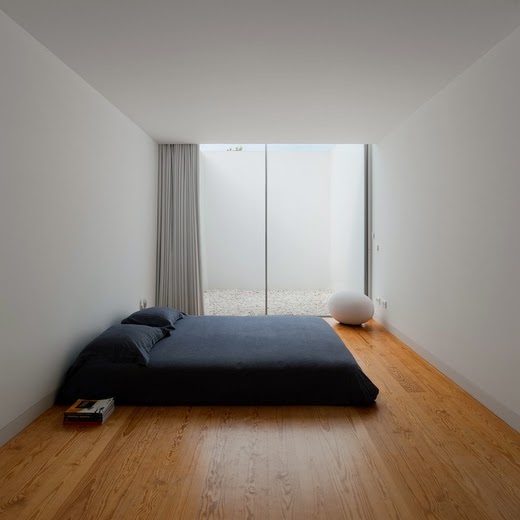 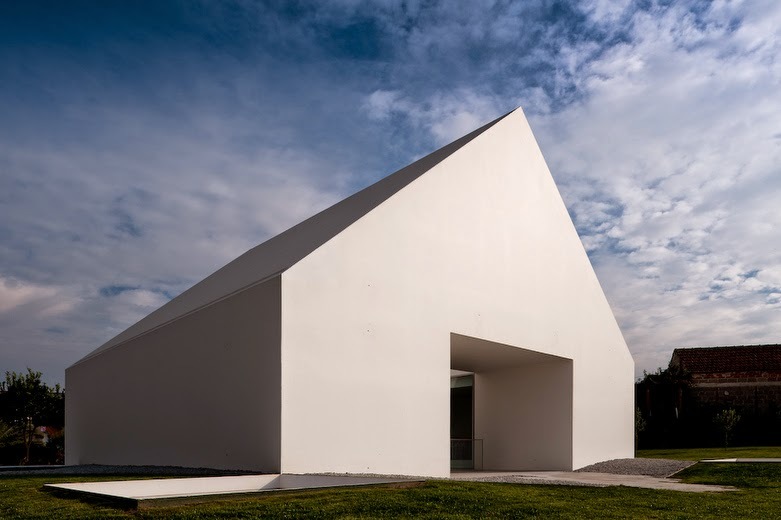 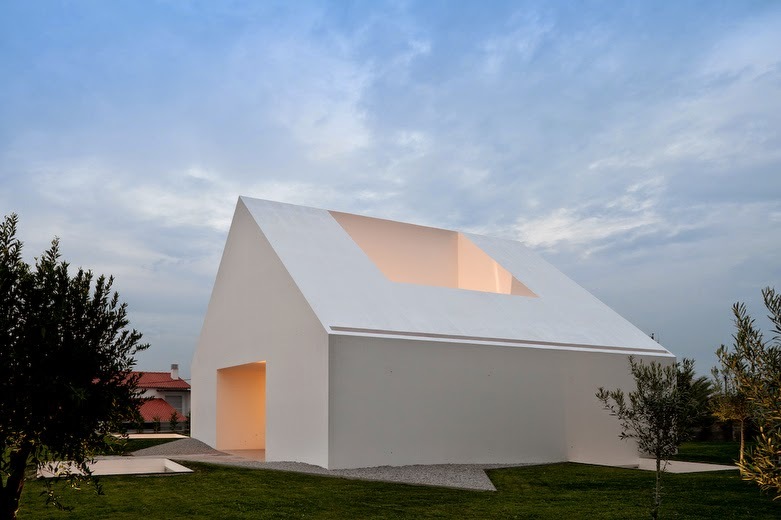 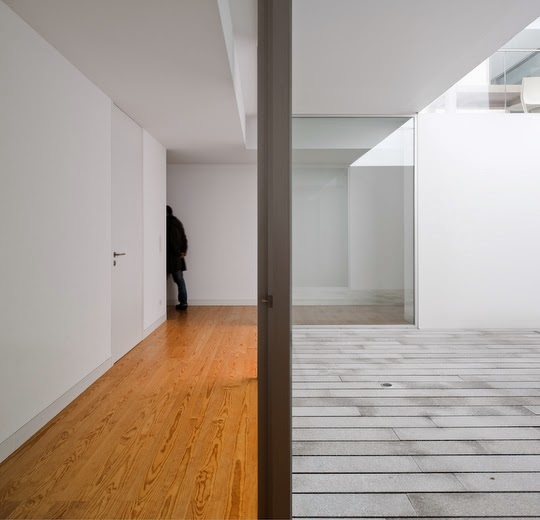 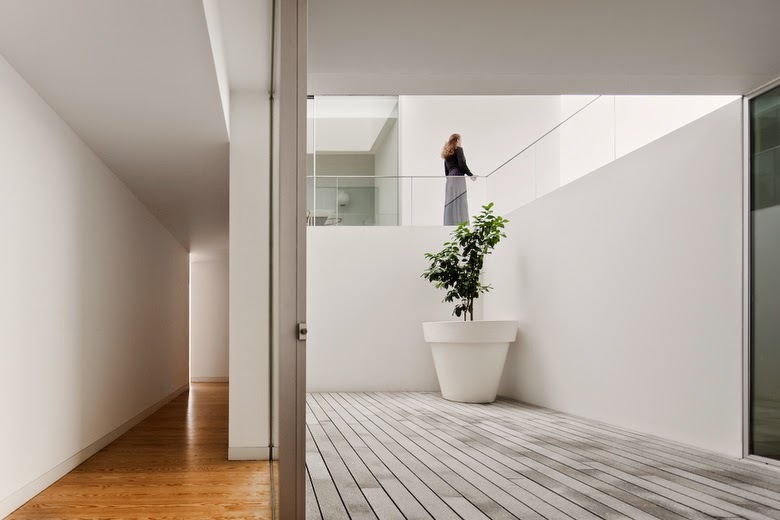 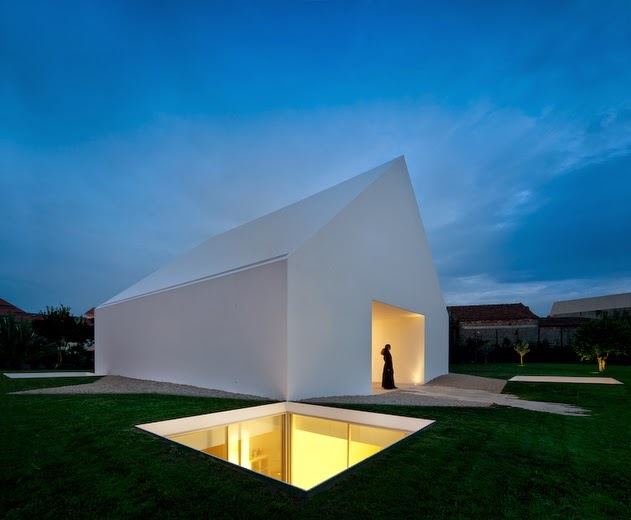 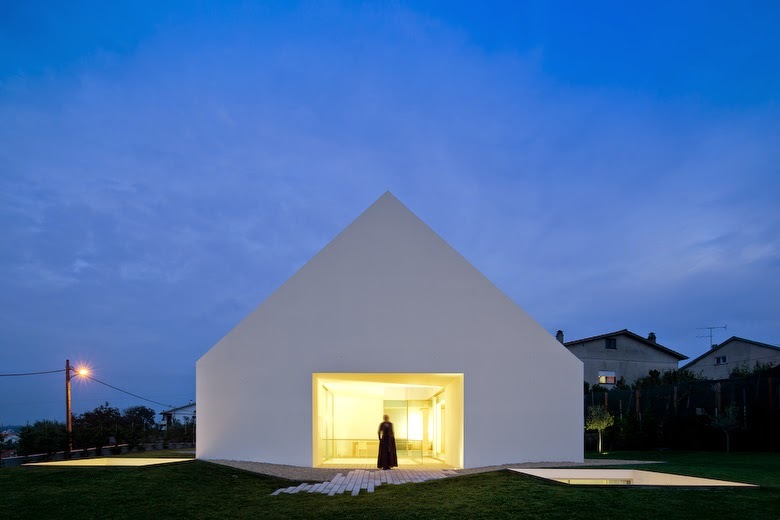 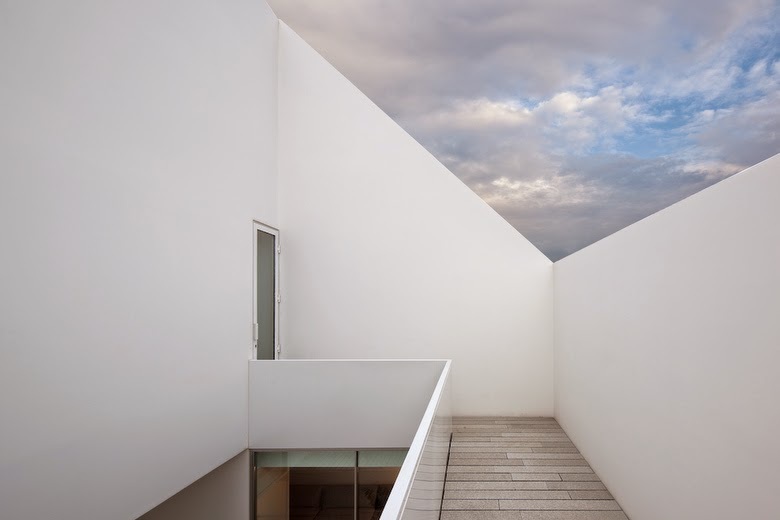 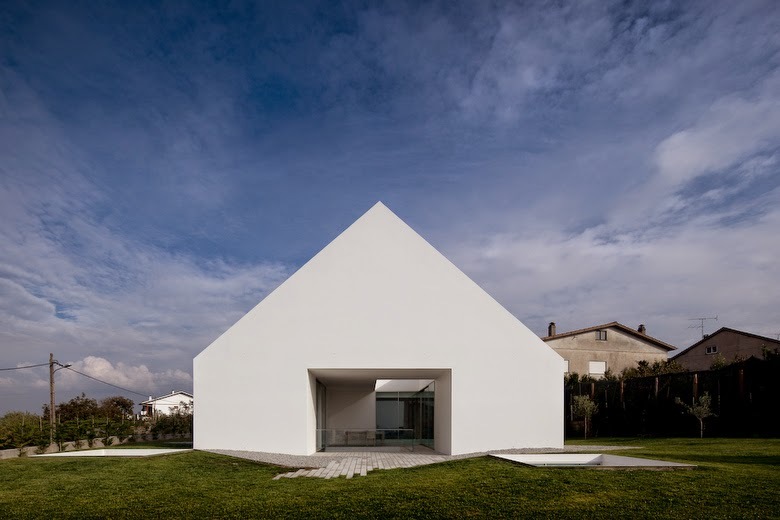 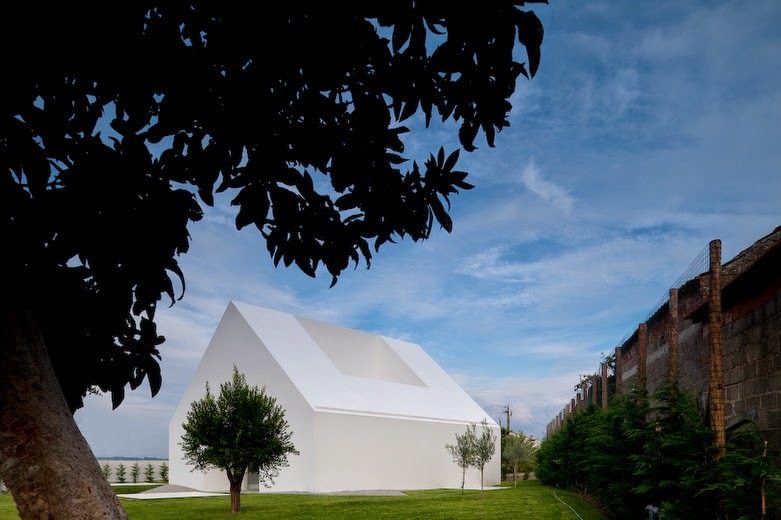 Located in Leiria, Portugal, this family house by architect Manuel Aires Mateus is a minimalist home archetype with a clear volumetric identity and a layout organized around a void - a central courtyard. 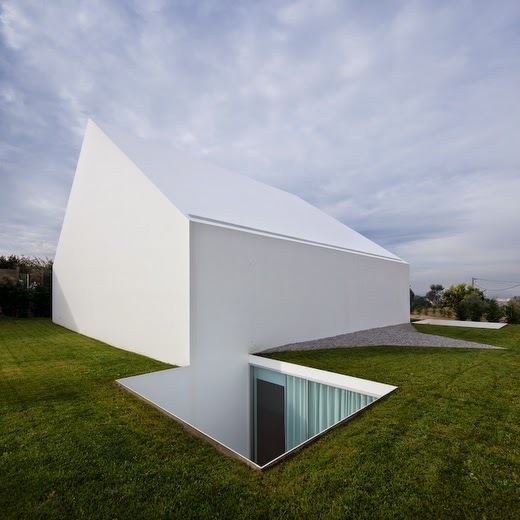 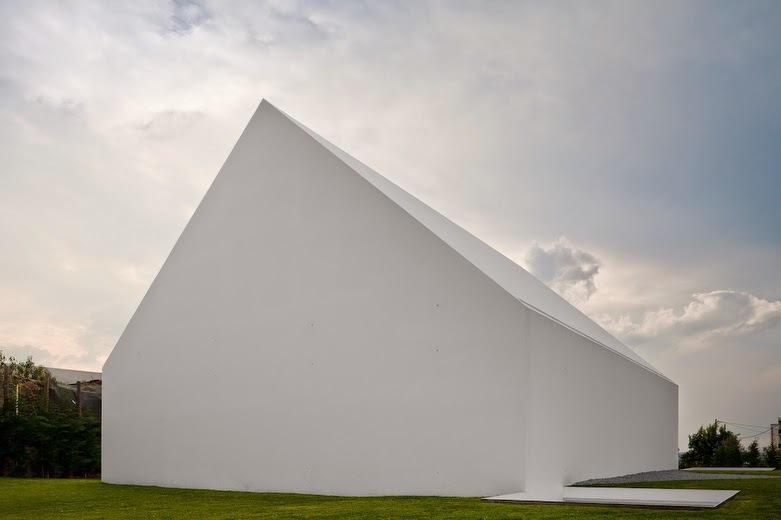 “The site is on the outskirts of Leiria, in a high position overlooking the city. 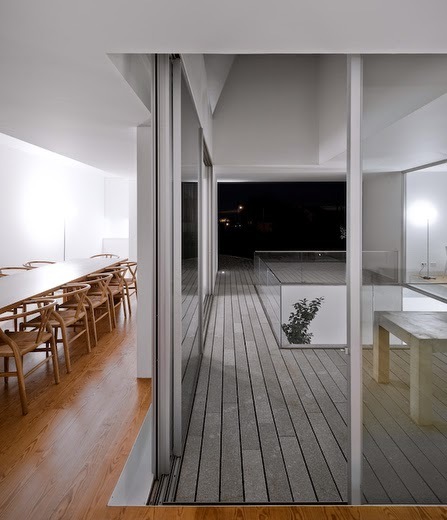 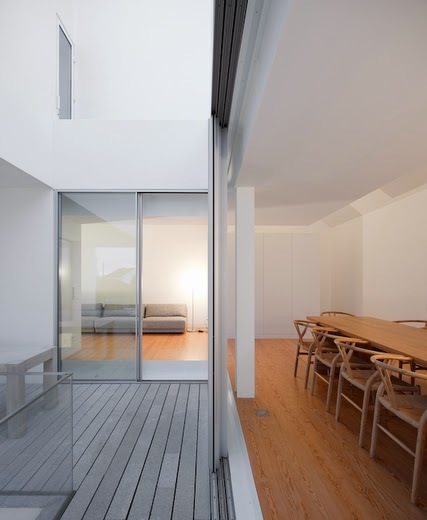 The functions are banal: a house divided in private area with bedrooms, and social area with living-rooms. 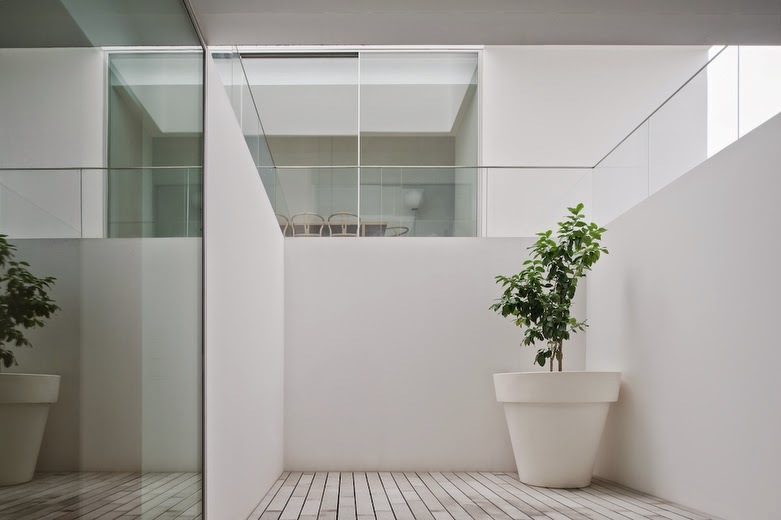 The private areas are at street level under the plot, around a central courtyard with rooms opening to private patios in a intimate environment. 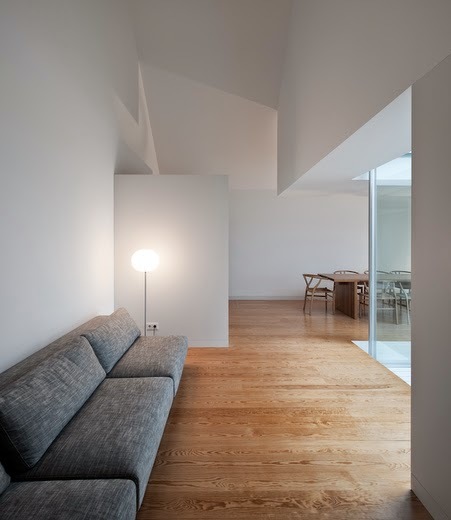 The living rooms are around a void, that collects light from above and gazes the castle at the city centre.